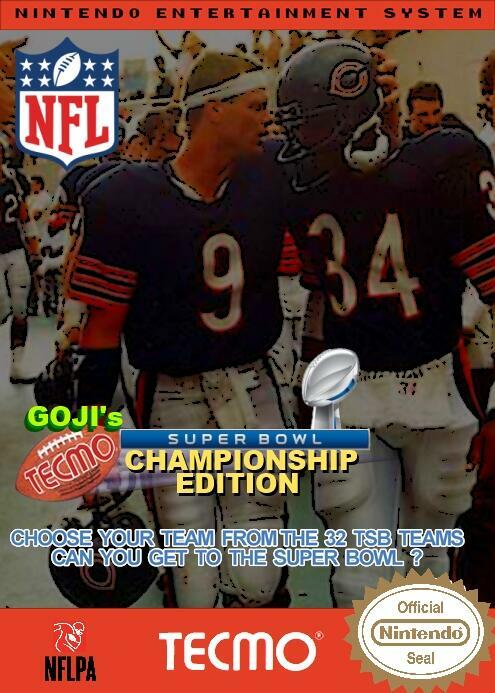 - A Collection of the Greatest Teams from all 32 NFL Franchises! 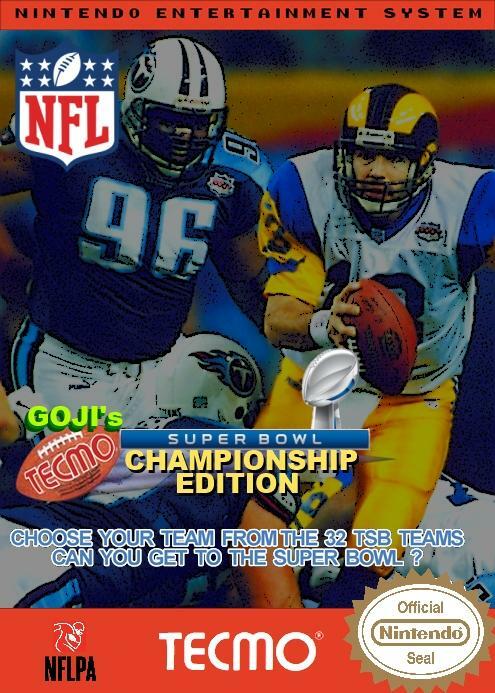 1999 Tennesee Titans, and 1991 Washington Redskins. This is a 'BETA' version as of yet. Suggestions and input are very welcome. Sorry if I missed one of your favorites. - I chose the 2007 Giants over their 80's / 90's teams. Beating the 16-0 Patriots was quite an accomplishment. - 1998 Vikings over their 70's Super Bowl Teams. Randall Cunningham, Randy Moss, Chris Carter and a 15-1 record during the regular season. - This is our first ROM with duplicate players. 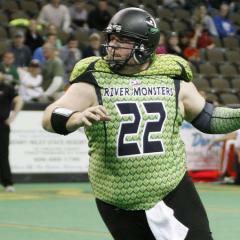 For Example : Both the 1999 Rams and 2008 Cardinals have Kurt Warner. 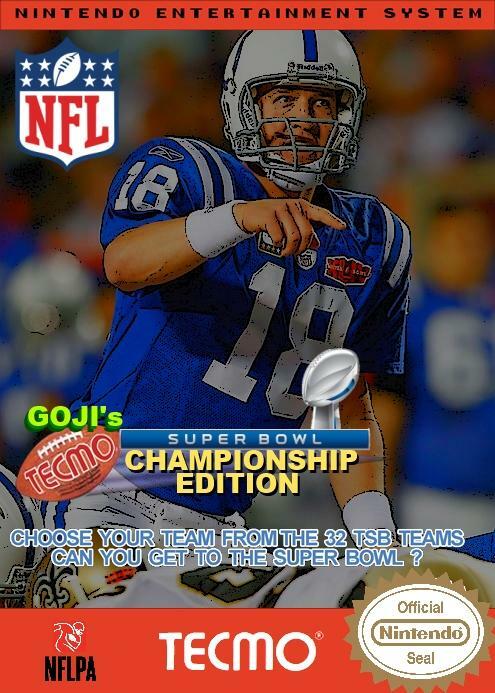 I will have a look at those Pats teams next update. I was almost tempted to put the 2007 16-0 Pats with Randy Moss.. I have already made a team list for the worst teams ever lol. Thanks for reinforcing the idea lol. "Can you lose all 16 games like the '08 Lions?" - awesome! 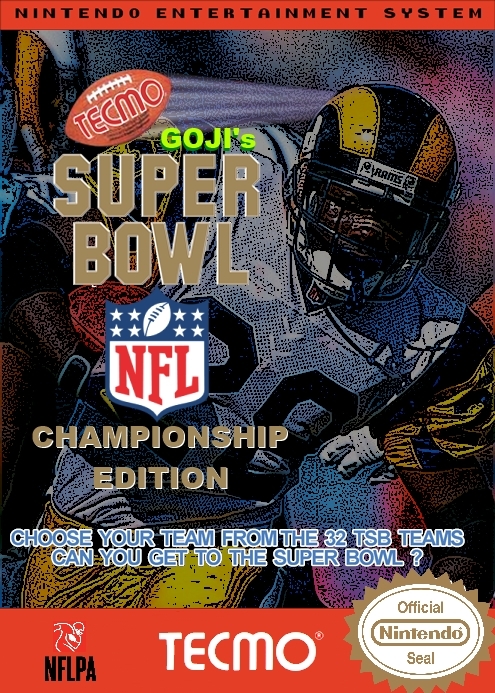 - Adjusted Mini and Large Helmet Colors on 1990 Bills, 1994 Chargers, and 1999 Rams. 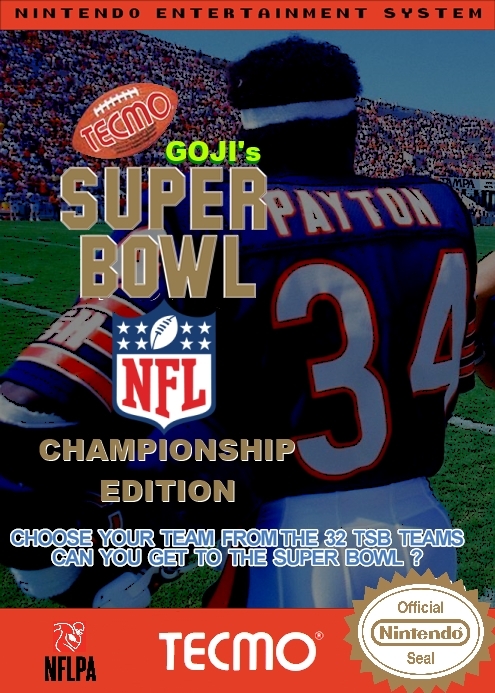 Goji's NFL Tecmo Super Bowl Championship Edition (Version 3.0) is up! 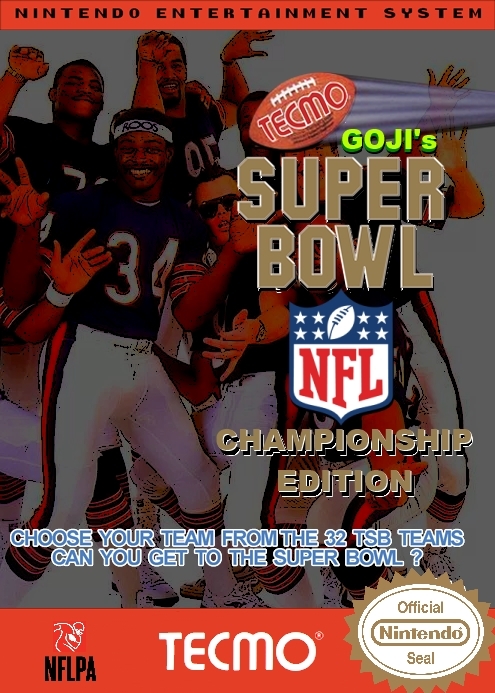 and Goji's Tecmo Super Bowl MVPs roms. New caps for position ratings. 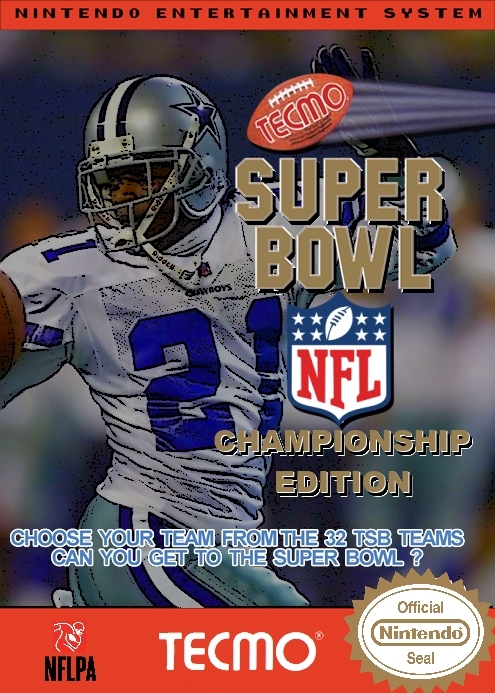 - Team and player SIM rating balanced. 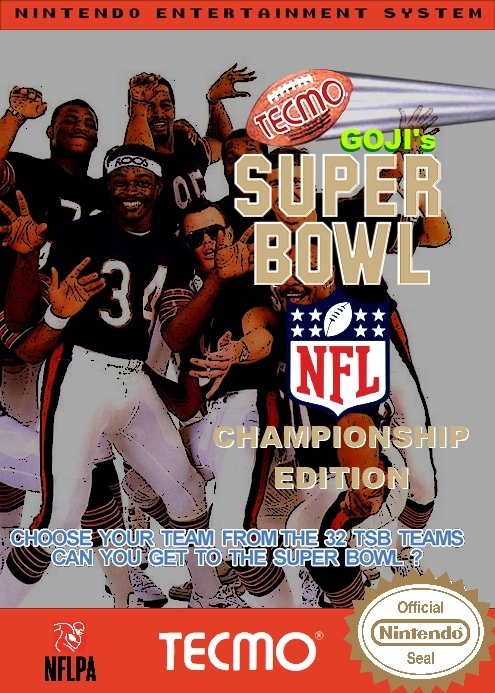 Goji's Tecmo Super Bowl NFL Championship Edition (4.0) is up! next up for an update. Thank you all for your input and suggestions. I hope you enjoy! Can someone make this? 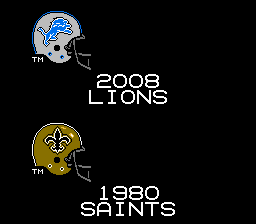 I have the rosters for all of these teams, except I swapped out the 1986 packers with the 2005 packers. I was having some trouble switching back some of the mini-helmets. I will give it another shot soon. 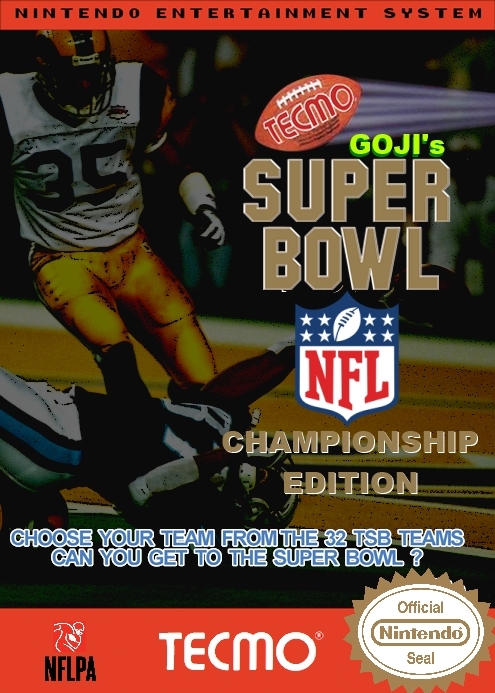 Goji's Tecmo Super Bowl LIII, and the ALL NEW Goji's Tecmo Super Bowl NFL 100 rom.